One of the best dishes from our trip was right on our first night at Taverna Estia, ricciola with zucchini ‘scales’ and a smoked cheese sauce. And although my plating skills (and especially patience) are not of Michelin star quality, my version of this dish does have the same fantastic flavor. Ricciola is a fish that you can often find on the menu in restaurants in and around Naples and Palermo. 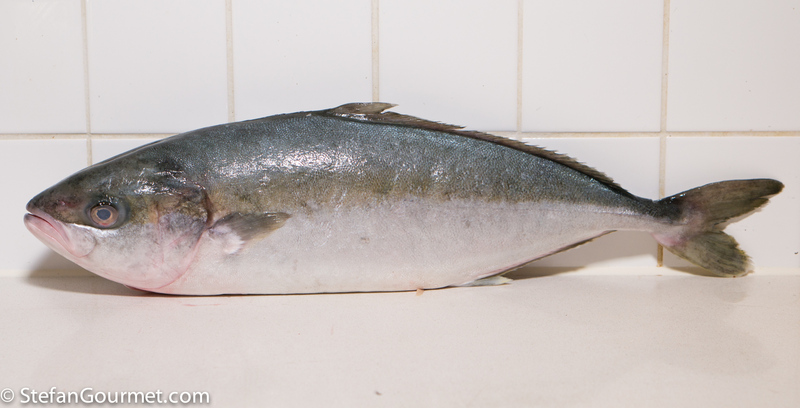 Outside of Italy similar fishes are available as amberjack or kingfish (or greater amberjack, yellowtail amberjack, also related to the Japanese hamachi). At Taverna Estia they had used a 20 kilo (45 lbs) specimen, but luckily I could acquire one that was ‘only’ 1.8 kilos (4 lbs). It is related to mackerel, but with a much more elegant flavor. What I especially like about ricciola though is the texture, creamy and flaky without falling apart. 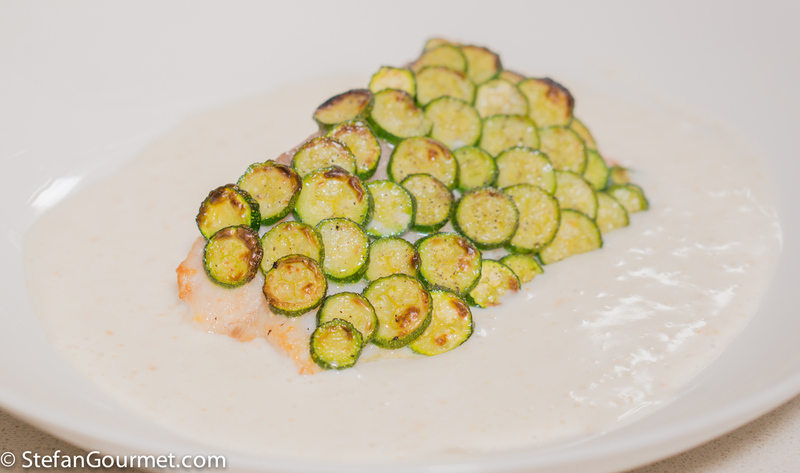 The combination with the even more creamy smoked cheese and the zucchini is wonderful. For such a special dish, it is surprisingly easy to prepare. (Please note that the version at Taverna Estia was more elaborate with a more airy sauce and ‘green olives’.) For the ‘scales’ small but not tiny zucchini are the best. Unfortunately I could only find either regular (quite large) zucchini or mini ones, so I opted for the mini ones. If you can find ricciola or a similar fish, give this recipe a try. You won’t regret it! 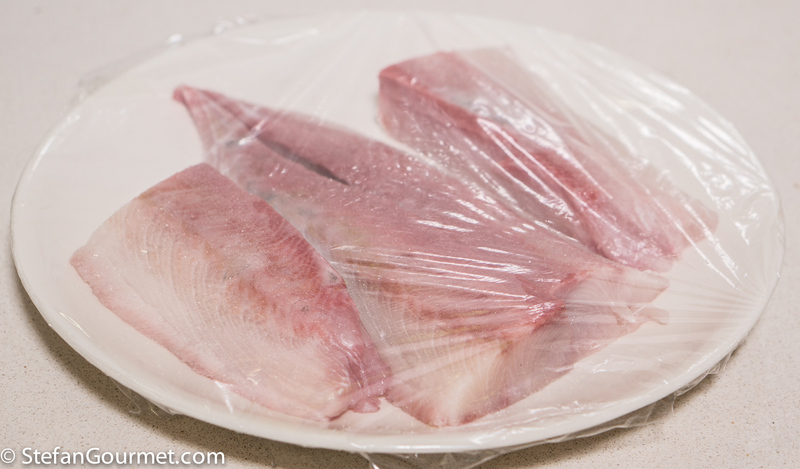 Season the fish with salt and allow to cure for at least an hour in the refrigerator. Meanwhile, slice the zucchini thinly. I used a mandoline. 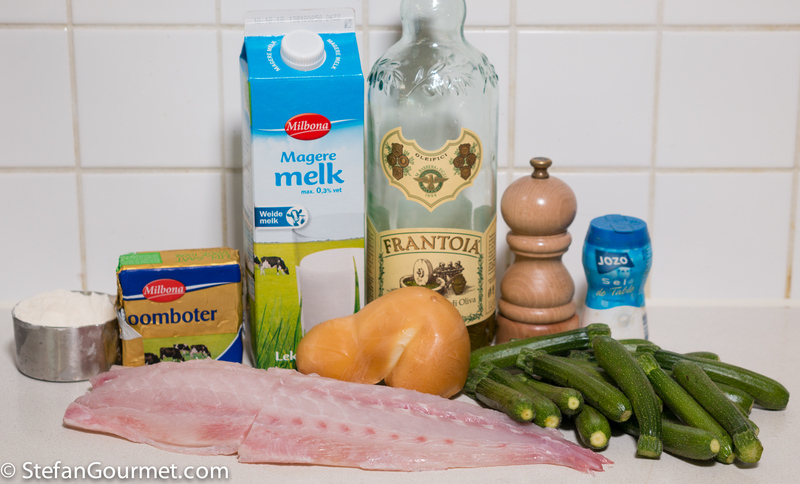 Cut the fish into four portions. 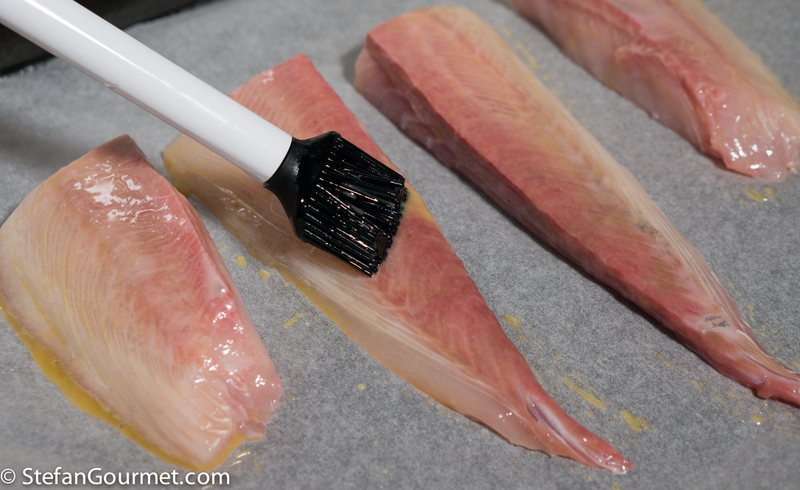 Line a baking sheet with oven paper and arrange the fish on the baking sheet. I brushed the fish with beaten egg so the zucchini would stick better. I am not sure that it actually worked. 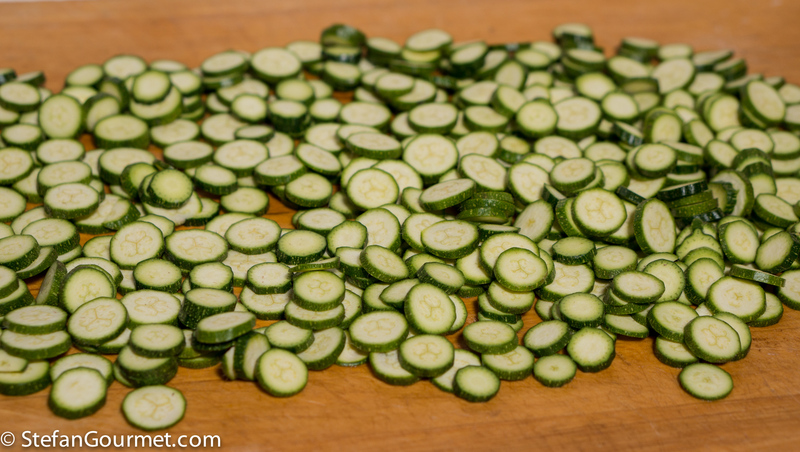 As mentioned in the introduction, it is probably easier with zucchini slices that are slightly larger. 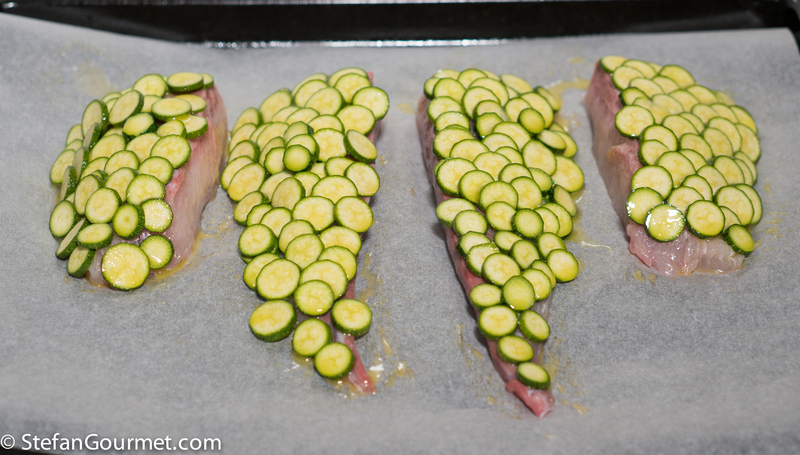 Arrange the zucchini on top of the fish such that they resemble scales. Brush the zucchini with olive oil. This is easier with an olive oil spray, if you have one. Now cook the fish in the oven at 225C/440F until it has a core temperature of 50C/122F and the zucchini is golden brown. You may have to use the broiler if the fish gets there quicker than the zucchini. …until the cheese has melted. 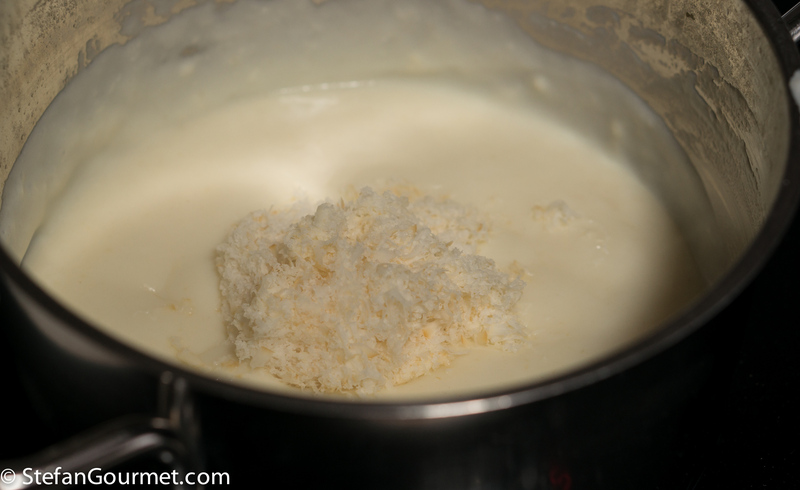 If you don’t want the yellow specks in the sauce, remove the outside of the cheese before grating it. 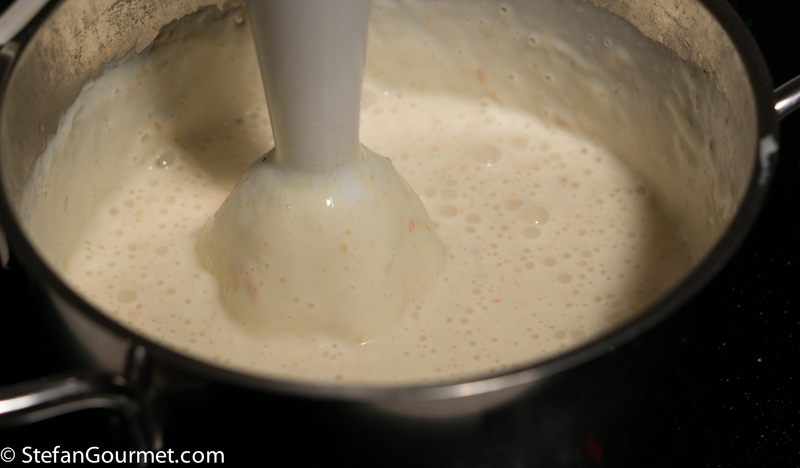 Now use an immersion blender to beat some air into the sauce and make it frothy. Season the zucchini with salt and freshly ground black pepper before carefully transferring the fish with zucchini to preheated plates. 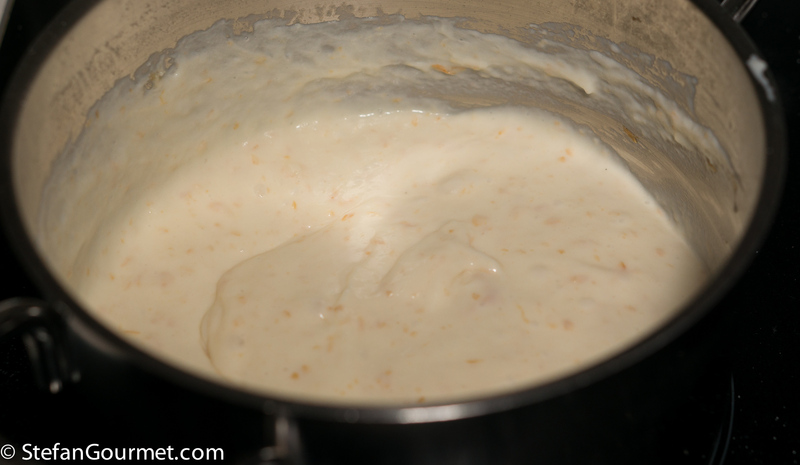 Then spoon the cheese sauce around the fish and serve. We enjoyed this with an oaked Soave (Suavia Le Rive) that was perfect with it. It is a very unusual Soave, because the Garganega grapes are harvested overripe and the wine is aged in oak. 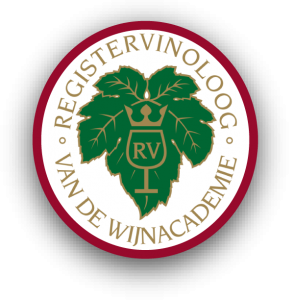 So it is very unlike the usual crispy Soave (aged in stainless steel). I believe a good white Burgundy would also be great with this. Spinach and ricotta are a classic combination in Italian cuisine, probably known best as one of the most common fillings for ravioli. But it is also a great combination to make risotto. 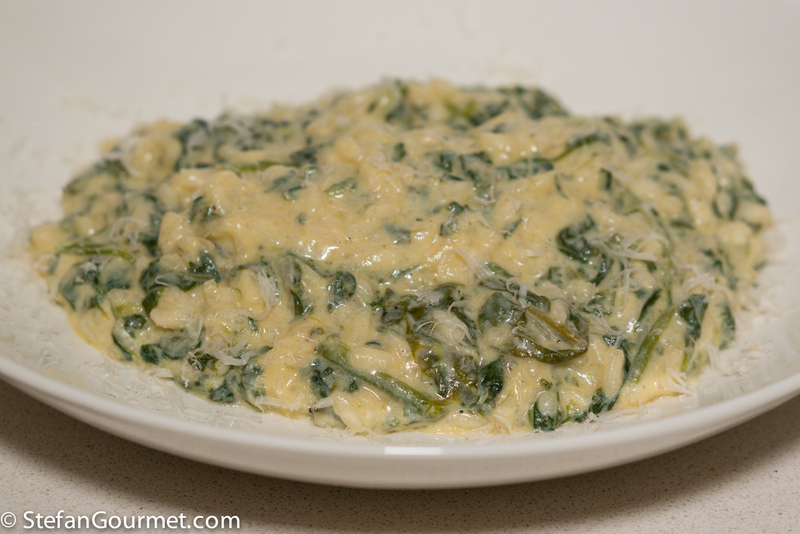 The resulting risotto is very creamy from the ricotta and the spinach is not as ‘in your face’ as a spinach only risotto. Eat a lot of fish and this I like! Have never combined smoked cheese and fish and curiosity is alive . . . and, kind Sir, being a female of the species, methinks my scales will make a more ‘artsy’ picture than yours 🙂 ! White Burgundy sounds great . . .
Wij kunnen niet meer liken. Kun je ons opnieuw invoeren? This looks and sounds absolutely delicious. And relatively easy considering it is from a Michelin starred resto. I will bookmark for a meal soon.